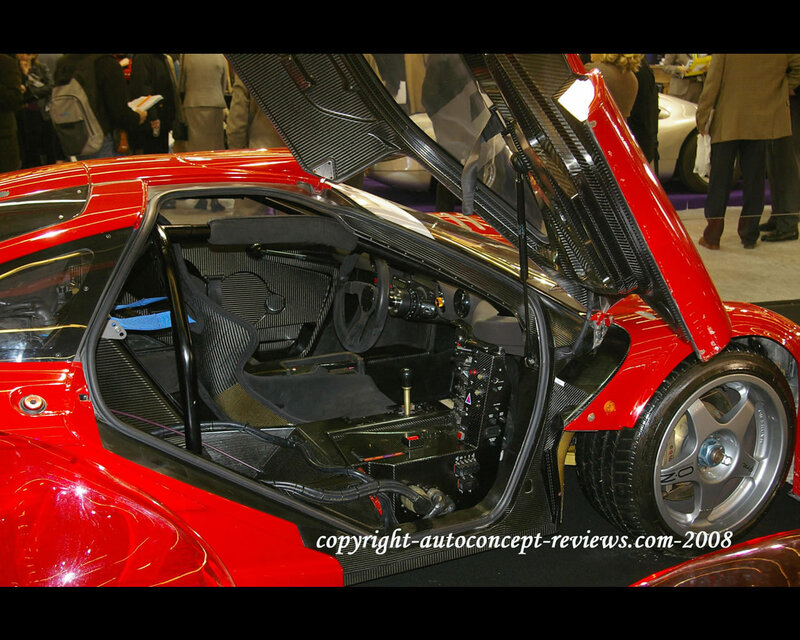 6,1 liter BMW TAG V12 producing 627 hp in mid engine position with transverse 6 speed gearbox. 0-100 kph (60 mph) in 3,1 sec . 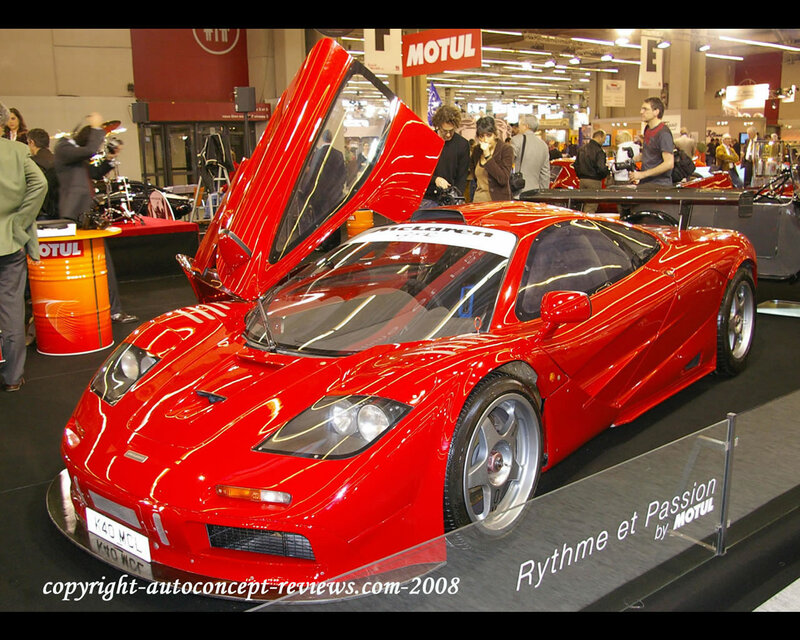 Top speed 380 kph (240 mph). 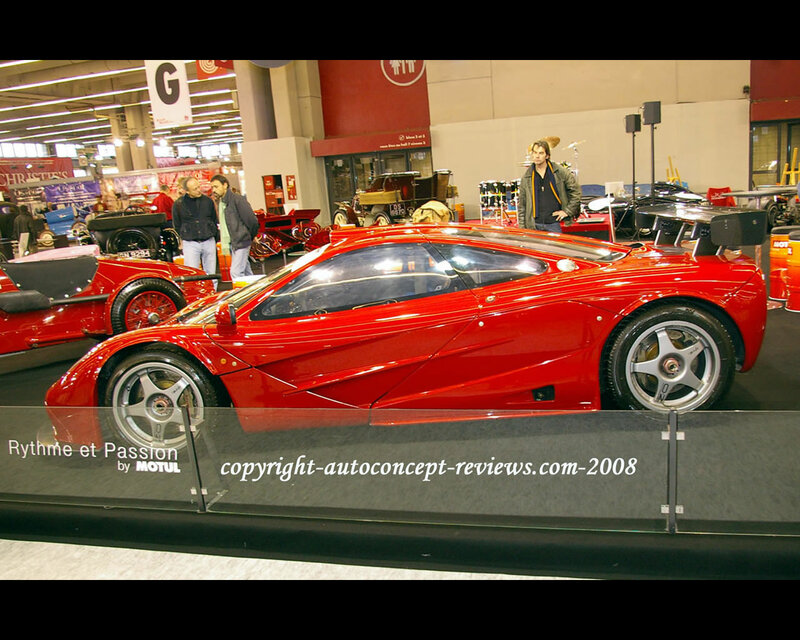 Three seats supercar. 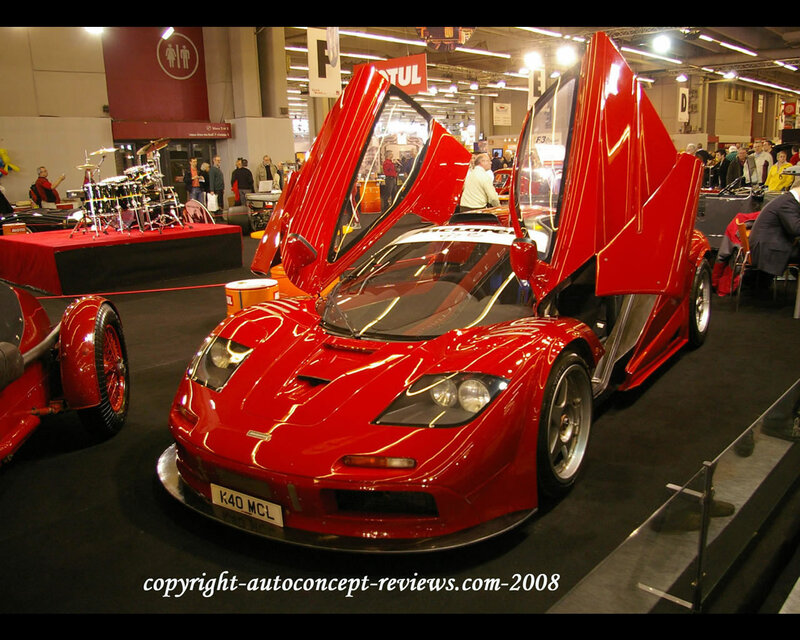 The McLaren F1 was designed by Technical Director Gordon Murray for McLaren Cars. 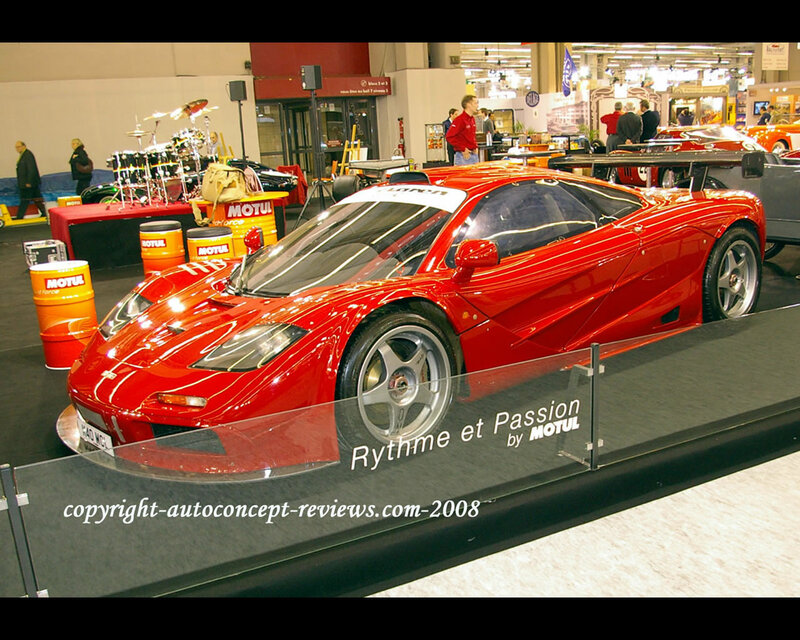 Gordon Murray had accumulated a long experience in designing formula one grand prix car when he strated this project of top performance supercar able to be driven everyday. 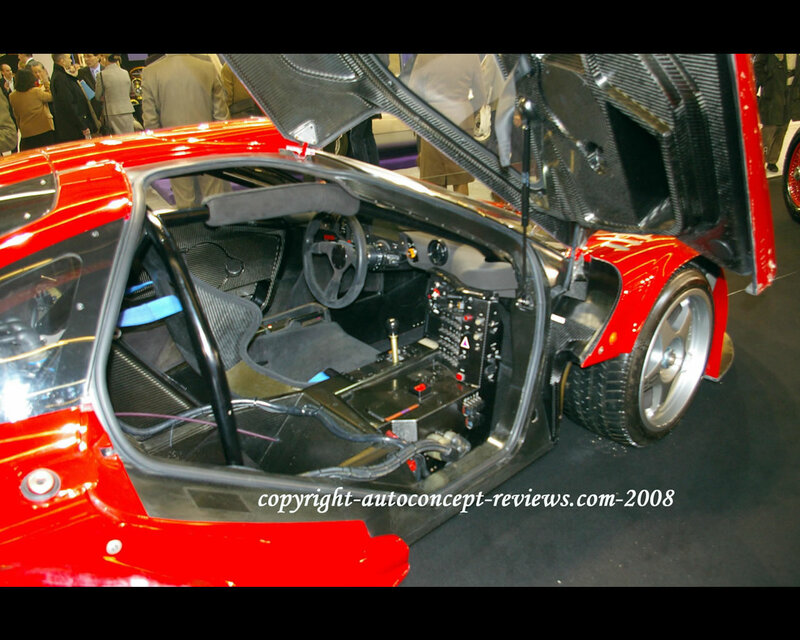 Ultralight body and structure in carbon composite allows overall weight of 1120 kg. The cockpit is developped around central driver seat with two side passengers seats in slightly back recessed position. The doors open by tilting forward. 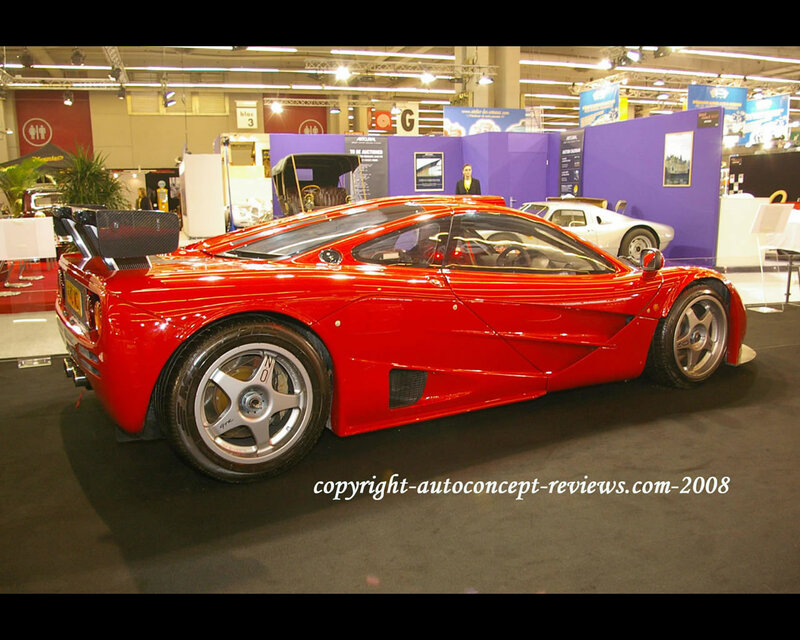 The car pictured here has aero kit with fixed rear spoiler for better stability at high speed. First cars were delivered in 1994 when some racing enthousiast driver ordered a racing version, called GTR, ready for 1995 season. 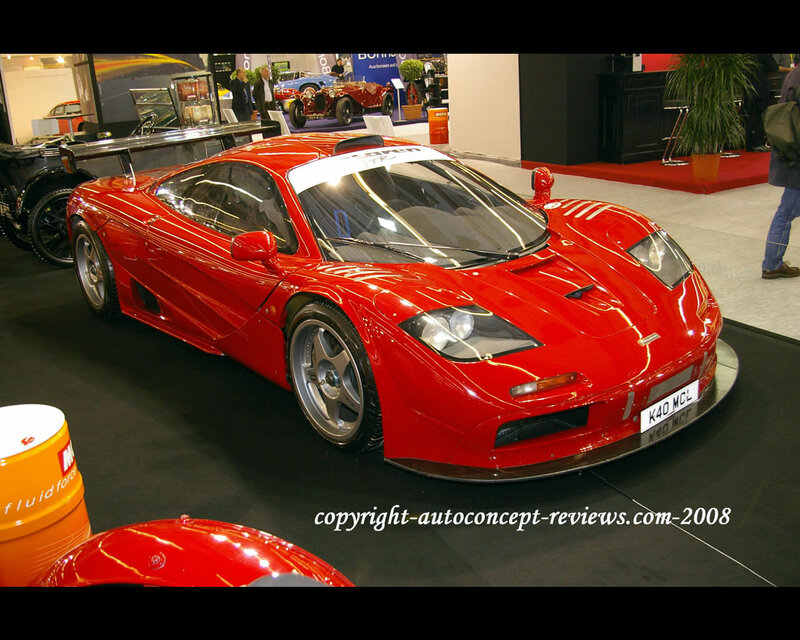 One McLaren F1 GTR, owned by Tokyo Ueno Clinic, won Le Mans 24 hours endurance race driven by J-J Lehto, Y. Dalmas and M. Sekiya; Other McLaren finished in third, fourth and fith position. 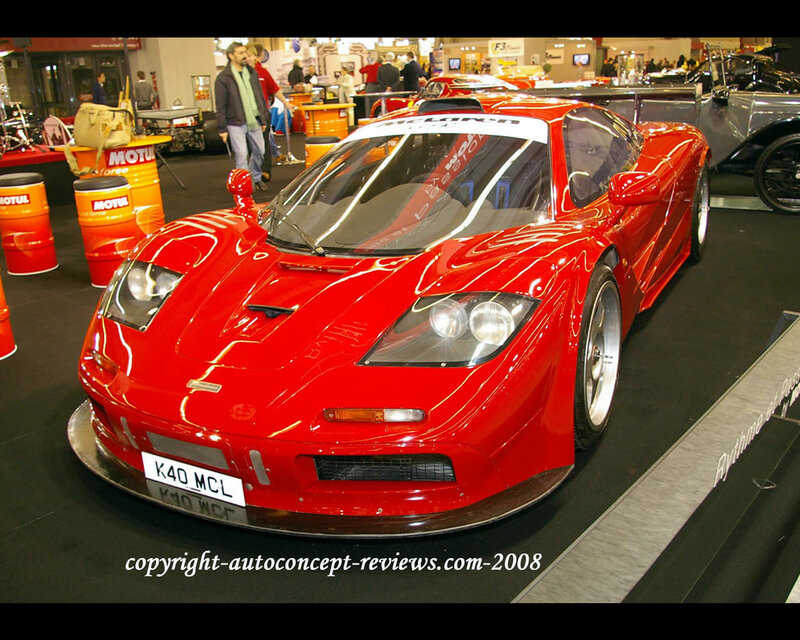 In 1998, Andy Wallace established top speed of 386 kph at Ehra Leissin track in Germany.